David C. McKone | Wisconsin Insurance Defense Lawyer | Lindner & Marsack, S.C.
David C. McKone is a partner with Lindner & Marsack, S.C. He concentrates his legal practice on defending worker's compensation claims for the insurance industry and self-insured employers. 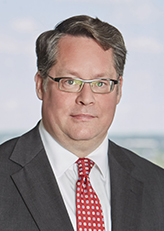 Prior to joining Lindner & Marsack, S.C., Mr. McKone was associated with the in-house counsel legal departments of two major insurance corporations. His law practice included all aspects of insurance litigation, including health law, personal injury law, property damage and subrogation, with a primary emphasis on worker's compensation. Mr. McKone frequently lectures and speaks on labor and employment law, including worker's compensation topics, throughout Wisconsin.